Guabiroba taia is a native of Brazil. 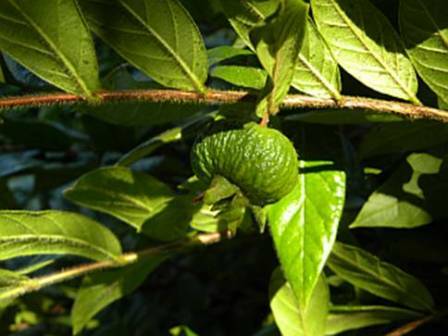 It is a relative of guava. Guabiroba taia is a rare species and grows wild only. The natural population of this fruit is declining due to loss of habitat. Therefore this fruit is facing the threat of extinction and required attention. 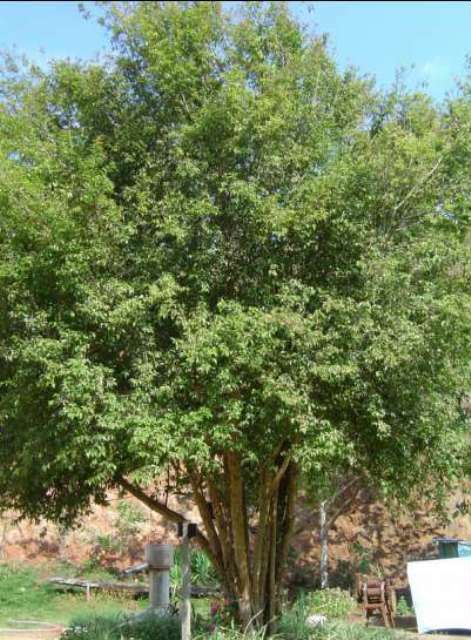 A branched shrub or small tree upto 1-3 m with ribbed and hairy twigs which is the main feature of this species. Leaves papyrus (paper like), bropad to middle and then top with elongated, 5-8 cm long, 2.1-3.7 cm wide. Flowers axillary, formed on shoot terminals, protected by hairy bracts that contain protected green sepals which are retained in the fruit and 4-6 mm in length; petals white, lasting a few days. Fruit a berry, cylindrical at poles, 3-6 mm in diameter. The taste of guaroba taia fruits is a combination of mango and papaya. However, these are soiur like a lemon. So these are best suited for making soft drinks and ice cream. 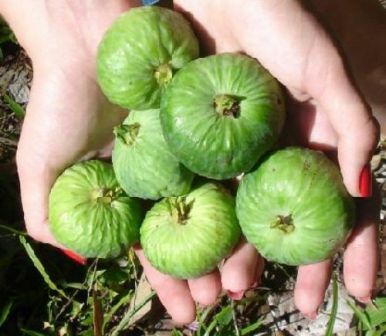 Guarobia taia is a fruit of subtropical climate. It can withstand cold upto -2 C. It can also resist drought upto five months. It can be grown on all type of soils. It can be planted in full sun or the canopy of larger trees. It can also be grown in large pots. New plants can be raised from seeds as well as from cuttings. The seeds germinate in 4-5 weeks. In field a planting distance of 3 x 3 m is the best. Trees can also be planted in pots. After planting the tip should be removed in order to encourage branching from the tree base. The fruiting starts in two years.